This article will show you how to sell music on WordPress with Cart66. Right out of the box, WordPress provides some awesome tools for sharing your music on your website. 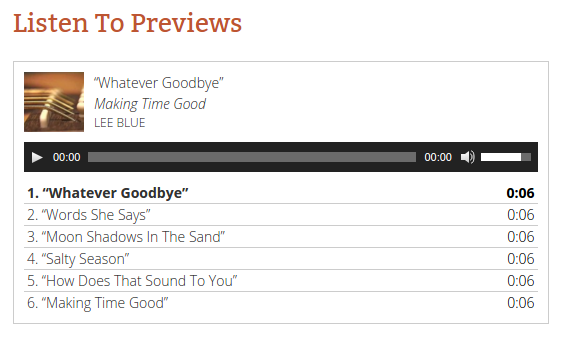 You can post MP3s and WordPress will provide a built-in player. You can share playlists such as samples of your album. There are even plugins to share sheet music on WordPress so other people can learn to play your songs. Cart66 provides the ecommerce tools you need to securely sell music. Cart66 securely hosts your music files on a content delivery network powered by Amazon so your music is safely and quickly delivered to your customers. All you have to do is sign in to your Cart66 Cloud dashboard and upload the files you’d like to sell. You can upload individual MP3 files or you may want to bundle multiple songs together in a zip file. If you upload individual MP3 files, you can attach each file to a product and sell all the files as an album. You can also sell each song as a single too if you’d like. Each file included in a product will have it’s own download link. Once you have your digital files uploaded, create a product and attach the digital files you want to sell with this product. You can attach one file or many files to the same product. Each file you attach will have it’s own download link for your customer to save the file after they complete a purchase. You can control how many times your customers are allowed to download the files they purchase. Now all you need to do is sign in to your WordPress admin and put the product on a page of your site. Just click the Cart66 Product button and select the product you created. That will place a shortcode on the page that will render your Add To Cart button. 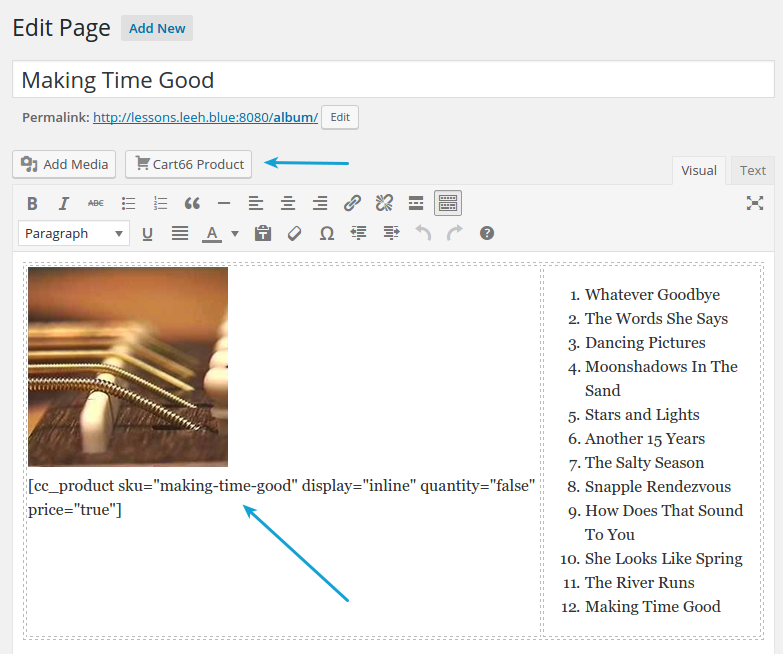 WordPress brings some great tools right out of the box. A lot of people don’t realize it, but you can post MP3s and even playlists right in WordPress without needing any other plugins and it works on all themes, even free themes, because it is a built-in WordPress feature. It’s as easy as adding an image to your page. Once you have created your playlist and inserted it on to you page it will look like this. Note, that WordPress tries to use the data in the MP3 (ID3) audio tags to get album art and other meta data about the tracks you upload. The idea here, with the playlist, is to create short “previews” of your music so people can take a listen and see if they’d like to buy and download the full song (or album). 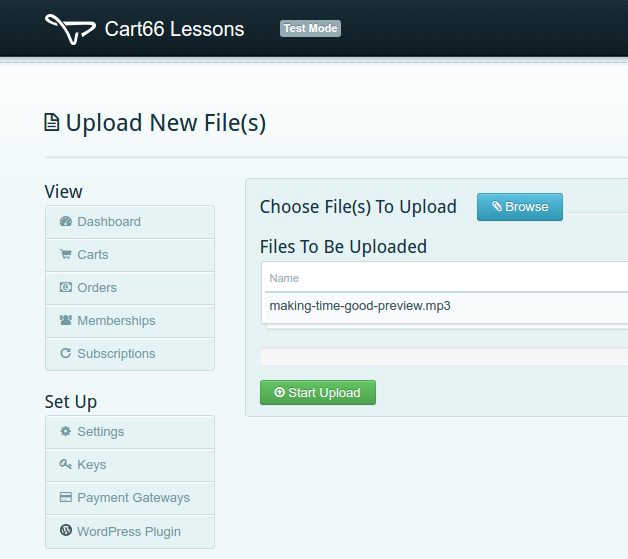 Cart66 makes it really easy and fun to sell music on WordPress. 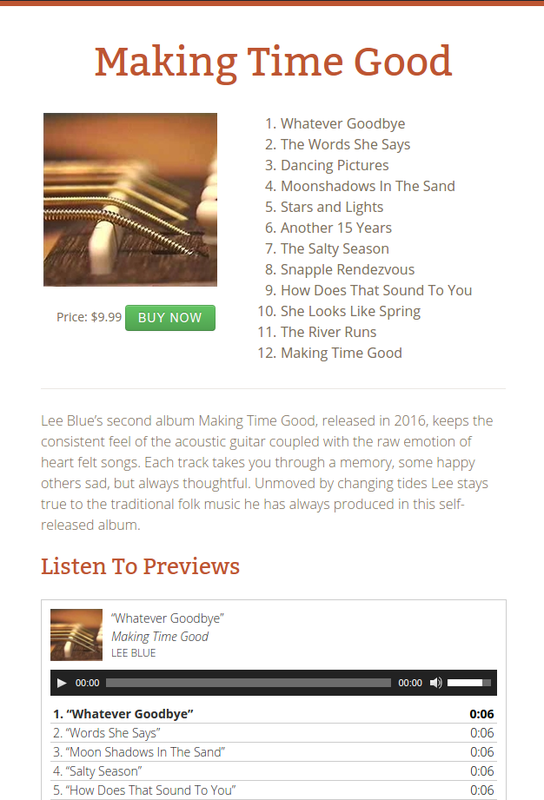 After creating your product and putting your Add To Cart button on a page of your WordPress site you can add actual song previews (or entire tracks) that can be played directly on your site. Using nothing but Cart66 and WordPress you can have a page that looks like this (no extra plugins needed, no fancy/expensive themes). All this is sitting right there in WordPress.